Motherwell FC fans wanted for abseil supporting youth academy/Kilbryde Hospice! 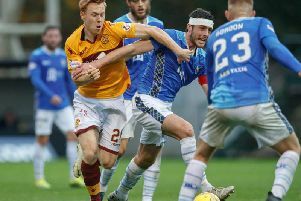 In the week that Motherwell FC ace Chris Cadden made his long awaited return from injury, it is fitting that the revered youth system which brought Cadden through the Fir Park ranks has launched a new partnership with local charity Kilbryde Hospice. The two fantastic causes have partnered together in the hope that they can help one another to raise both awareness and vital funds. 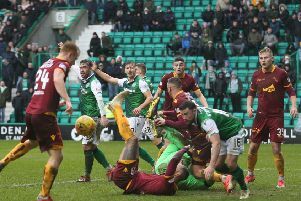 Cadden, one of several Motherwell FC first teamers to have come up through the ranks, scored with an unstoppable volley during his 60-minute outing in the reserve side’s 4-1 win over St Mirren on Sunday. The Scotland cap had been out for the previous four-and-a-half months with a knee injury. Kilbryde Hospice care for those affected by life limiting illnesses, providing in-patient services, day services, care at home and drop-in services from their hospice building in East Kilbride. The Motherwell FC Academy serves to help the club in its quest to identify and recruit young players of outstanding potential that can be nurtured through the ranks to become part of the first team squad. Karlyn Robertson, assistant fundraising manager at Kilbryde Hospice, said: “Kilbryde Hospice are very excited to be working with the team at Motherwell Football Club and Academy. The abseil will take place on Sunday, April 14 to raise funds both for Kilbryde Hospice and for youth development at Motherwell FC Academy. For more information, contact the hospice team on fundraising@kilbrydehospice.org.uk or telephone them on 01355 202020.